Blog Paws 2012 Summary ~ Pawsitively Humane, Inc.
﻿ I finally made it! 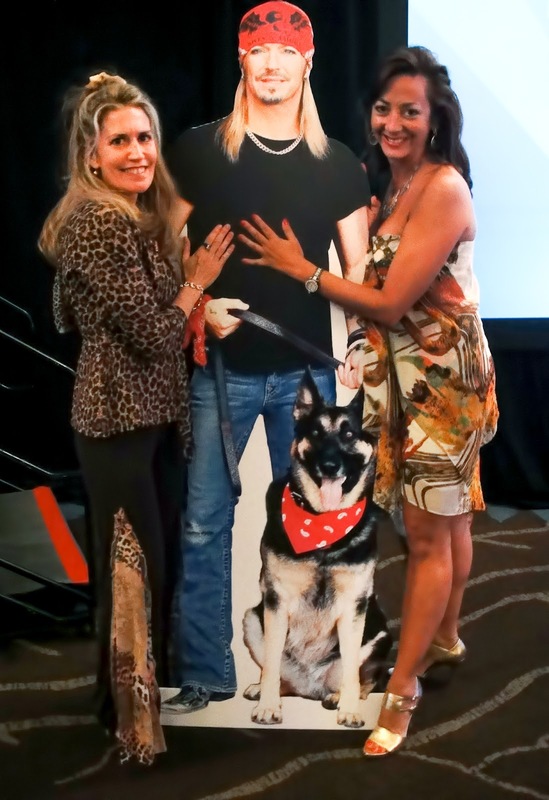 This year Deb Barnes and I attended BlogPaws. This is an annual conference for pet bloggers whether you write about a pet as a guardian (owner), an educator, veterinarian or work in a shelter. This year Blog Paws was held in beautiful Salt Lake City, Utah. What a clean and well organized city. While I've attended many conferences, this was the most enlightening and fun. To combine learning with fun is the best investment and personal and professional growth experience. Our goal ? To network with expert bloggers, animal rescue reps and nationally recognized vets and authors and attend seminars to advance our nonprofit. So what makes Blog Paws so worthy? Well first the obvious--all pets were welcome--dogs, cats, ferrets, rabbits, chimpanzees,etc as long as they're well trained and behaved! To clarify I only saw the first three types of pets and indeed they were pawfectly behaved even in the seminars and dining room. Never did I imagine I would be kissed and licked at an educational seminar! Next I had the opportunity to meet and schmooze with famous bloggers that I heard about and follow. Let's see there was Cat man Peter Wolf of Vox Felina, Dr. Patty Khuly (she's the vet who saved Homer, the blind cat from being put to sleep; and now he's famous! ), Kate Benjamin from Modern Cat (recently featured on Animal Planet) the famous Tillman skateboarding dog! and Snoopy, not the cartoon Snoopy but a handsome bearded collie. ﻿ The vendor exhibit was surprisingly enlightening. So many advances in pet food, grooming, training, and decor! I wonder if the Furminator will reduce cats from coughing up hairballs? Is "Natural Balance" really all natural and a balanced diet? Does Walk In Sync train your dog in minutes? I'm looking forward to trying some products and reviewing them for you. The highlight of the conference was the presentation by Betsy Saul, co-founder of Petfinder.com. While our country has made improvements in terms of dogs rescue and welfare, her presentation on cats validated my research and concerns. Outdoor cats are at the highest risk of shelter impoundment and euthanasia. We have significant work to do. Oh did I mention my bro Brett Michaels attended?! No we're not related. Here Deb and I are posing with Flat Brett. Yes Blog Paws has this "flat sensation". ﻿ The conference ended with an award ceremony for the best blog in many categories. They ranged from best dog blog, best cat blog, best design blog, best Twitter design, most humorous. Based on the thunderous applause and noise level at the "cat section" seat rows, you would think we outnumbered dog people. Maybe we had the most spirit. Deb Barnes was nominated for two awards but this year it was not meant to be. I'm confident numerous awards await her that she'll need a separate bedroom just to showcase them all. But our colleague Debbie at Glogirly won the best Cat Blog. Concatulations Debbie and Katie! Well time to study my notes and put into practice what I've learned.